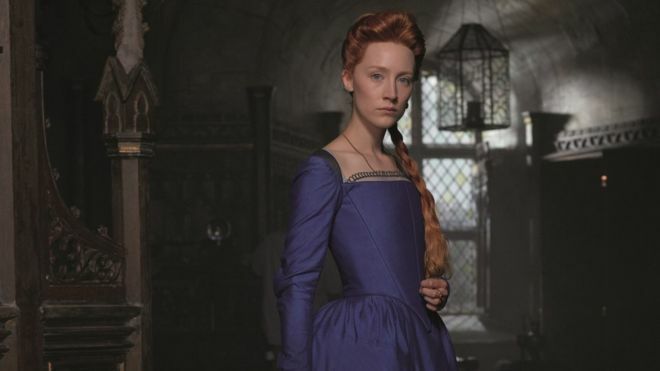 Clanadonia entertain the stars of new movie, Mary Queen of Scots and even Saoirse joins in. The boys are no stranger to rubbing shoulders with movie royalty having wowed Chris Pine and co at the Outlaw King bash back in November and on Monday night they were honoured to have been asked back to Edinburgh Castle to perform for 1st Minister Nicola Sturgeon and some of the cast of new movie, Mary Queen of Scots which premiered at the Cameo this week. Saoirse Ronan who plays the doomed Mary Stuart, was a real trouper, helping out on mini-maracas alongside Tu-Bardh, Nic and the rest of the gang. Interesting if you think about it, the story of an intelligent, principled Scots lass being persecuted by a London based ruler. Can’t think what modern scenario that reminds me of… Little bit of politics there. Anyway, enjoy the video.